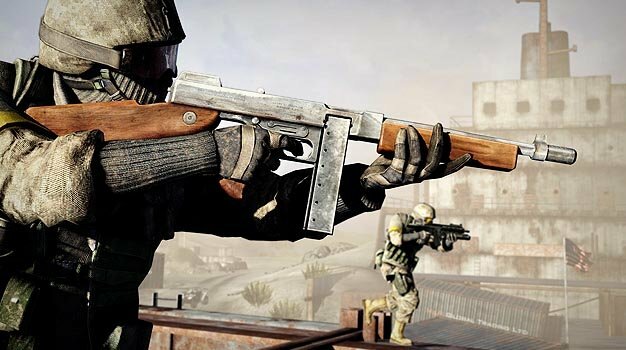 Just recently, we got word that there were a number of sites around handing out fake invites to a Battlefield: Bad Company 2 beta, something that producer Gordon Van Dyke decided to smash the bejesus out of with a statement on the Battlefield blog, giving us the idea that there even was no beta program. That made us wonder if GameStop had any idea of what they were giving away? Now, however, it seems that there might be a beta and that more info will be coming on it this week. An EA spokesperson told Blend Games that “as for the beta, we’ll have more details later this week.” That’s about it. How vague and full of clichés can you be? We’ll just have to stay on top of the matter and see what info we’re given, if any. Does this mean we don’t get to give the e-tards the middle-finger?